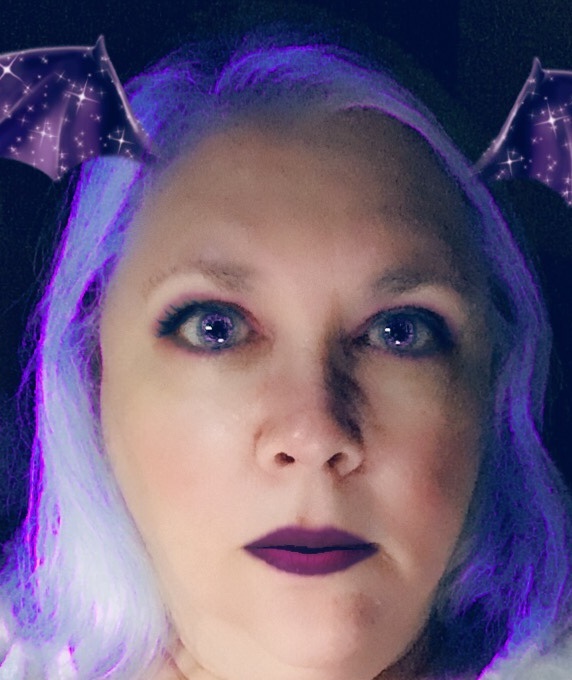 I figured I should take advantage of the Halloween filter because it probably won’t be around tomorrow. Hence the purple hair and Gene Simmons lipstick. (Okay, his was black, but you get the idea.) And by the way — every picture you will see of me on this blog has been filtered up the wazoo and then some. Part two of whatever-this-is is about podcasting. A few years ago I read an article by Nicholas Carr called “Is Google Making Us Stupid?” . It’s about how digital media change our reading patterns (and our brains) — particularly how they inhibit our ability to do long-form reading. I won’t go into the whole thing here (it’s a really interesting article, so I’ll link to it — he’s written more about this subject since, but this was, I think, his first). I recognized that my ability to sit down and read for an hour was basically nonexistent. This worried me, but in his article he assured us that we could regain the ability (and I’m happy to say I have). Anyway — this renewed my interest in reading books. I have yammered on in other places about my infamous reading lists (note to Bruce: print them out and display them at my funeral because I hate to think that my beautiful, wonderful lists will never be seen by anyone except me) and I wanted to attack them in a more serious, concentrated way. One thing I’ve also yammered on about is that the more you read “good stuff” the more you want to read good stuff (GS). I have little patience these days for mediocre books. So I’ve been reading GS. Tons and tons of it. Last year I read more than 104 books — a little more than two books a week. Most of them GS. This year, too — not as many, but just as worthwhile. All sorts of books — fiction, biography, theology, history — you name it. I have a lot of friends who love to read and a lot of friends who love to read worthwhile books. David is foremost — I talk with him about books more than I do anyone else. But — of course — he doesn’t read like I do because no two people like the exact same things. I would finish a book and feel frustrated because I didn’t have anyone with whom I could discuss it — and that’s when the idea of a podcast about books popped into my head. I could read whatever I wanted and talk about it for half an hour. At first it went well — I had fun, anyway. But by the end (it lasted almost six months) I was noticing that it was affecting my reading. I have been hesitant to read long books — especially Proust — because I wouldn’t have much to talk about when it comes to books that might take me a few weeks to finish. I don’t get paid (obviously) for doing this podcast, so if it is going to affect my ability to read what I want it becomes a less desirable effort. 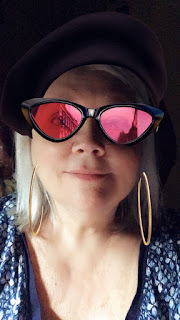 So the other day I thought I might not keep doing the podcast thing...but I might go back to blogging. Because if I blog I can write about what I read, but if that’s not all that interesting I can write about something else. There’s so much I want to say that I’ve been putting it off for a week now; I’m not sure where to begin. So I think I’ll just start and maybe ramble a bit, but if I start writing I’ll eventually say all the things I want to say. And I have to go way, way back — so this might take a few days. There are three parts to this...this...whatever this is. The first part is the blogging part. I can’t even remember how long ago I started blogging — but it was so long ago that I had to explain that the word blog came from “web log” and still people weren’t sure what that was. I started on Live Journal, but moved to a blogger/wordpress site for no particular reason. It’s like how when someone gives you an AOL email address and you’re kind of shocked that folks have that still. Live Journal was where you started blogging, but then you moved to a more advanced, sophisticated, anything-but-Live-Journal site. Whatever. When I first started blogging it was to keep track of my diet and exercise programs. That’s it. But when I lived in Michigan I didn’t have any friends, so blogging became a way to stay in touch with...something. There was no Facebook, so faraway friends could read and comment on my blog and I could know that someone, somewhere, remembered me. So I expanded my repertoire. Lots — lots — of politics. I used to be addicted to politics. Trump knocked it out of me, so I have him to thank for that at least. But I went on a plant-based diet binge, too. An everything binge. I have always leapt from passion to passion and I probably won’t ever change. And what I was passionate about I wrote about. Then I decided to use my blog to talk about my faith. A better aim for sure. But the problem was that with a Facebook outlet (and real, live, present-with-me friends) blogging became less of a necessity for me. So I was not consistent and each attempt died on the vine. I’ve had at least four blog incarnations. No — five. Five names, five purposes. Some lasted for years, some days. I think it would probably be a good thing for it to last for a consistently long period, but who knows. Maybe it doesn’t matter. So we are at the sixth version of my blog. Numero six-o. As always, I hope to blog often. As always, we’ll see.